Drugs may interact with geriatric syndromes by playing a role in the continuation, recurrence or worsening of these conditions. 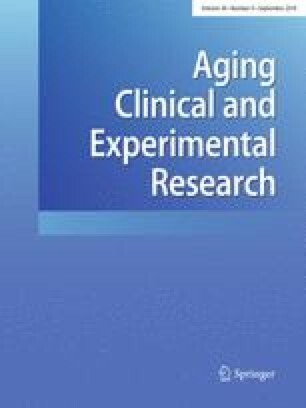 Aim of this study is to assess the prevalence of interactions between drugs and three common geriatric syndromes (delirium, falls and urinary incontinence) among older adults in nursing home and home care in Europe. We performed a cross-sectional multicenter study among 4023 nursing home residents participating in the Services and Health for Elderly in Long-TERm care (Shelter) project and 1469 home care patients participating in the Identifying best practices for care-dependent elderly by Benchmarking Costs and outcomes of community care (IBenC) project. Exposure to interactions between drugs and geriatric syndromes was assessed by 2015 Beers criteria. 790/4023 (19.6%) residents in the Shelter Project and 179/1469 (12.2%) home care patients in the IBenC Project presented with one or more drug interactions with geriatric syndromes. In the Shelter project, 288/373 (77.2%) residents experiencing a fall, 429/659 (65.1%) presenting with delirium and 180/2765 (6.5%) with urinary incontinence were on one or more interacting drugs. In the IBenC project, 78/172 (45.3%) participants experiencing a fall, 80/182 (44.0%) presenting with delirium and 36/504 (7.1%) with urinary incontinence were on one or more interacting drugs. Drug–geriatric syndromes interactions are common in long-term care patients. Future studies and interventions aimed at improving pharmacological prescription in the long-term care setting should assess not only drug–drug and drug–disease interactions, but also interactions involving geriatric syndromes. The Shelter and IBenC projects were funded by the 7th Framework Programme of the European Union. The work of ET was partly supported by the Grant no. 16-33463A Ministry of Health of the Czech Republic. IBenC data released in May 2017 were used for this study. All procedures performed in this study involving human participants were in accordance with the ethical approval and standards of the local ethics committees. Ethical approval was obtained from the ethics committees of the participating centers.